Dutch designer Marjan van Aubel has developed a self-powered hydroponic rooftop greenhouse that generates solar energy to optimise good conditions for growth, in a bid to tackle the issue of food shortages. The wedge-shaped transparent structure, called Power Plant, uses solar glass panels both to maintain an indoor climate, and power an integrated hydroponic system and specifically coloured LEDs. As the world’s population continues to grow, so does the demand for food production, and while newly developed technologies make controlled farming more efficient, they require a lot of energy. According to Van Aubel, every hour we receive enough sunlight to provide the world with sufficient electricity for an entire year. 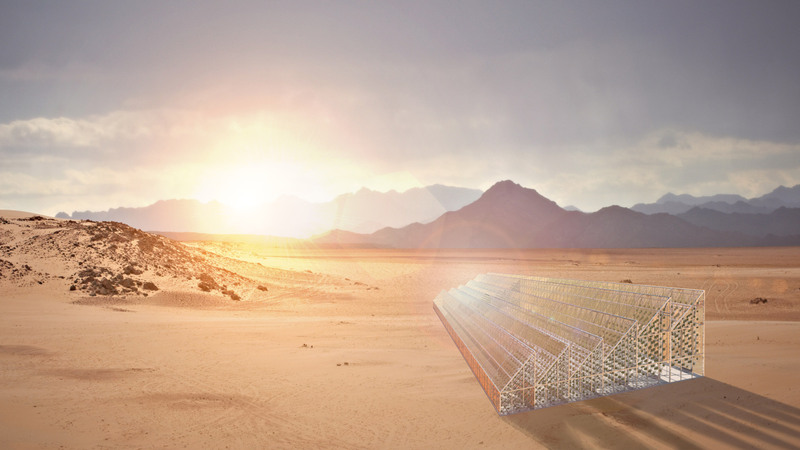 Her self-powering greenhouse aims to capitalise on the free energy of the sun by combining it with high-tech farming to efficiently grow food, in an effort to tackle both the world’s energy and food shortage issues. Power Plant harvests energy via solar technology integrated into the glass used to form its structure, meaning every surface is productive. The energy gained from the solar cells is used to power and maintain the greenhouse’s indoor climate, including a hydroponic system that pumps around nutrient-infused water comprising a mix of nitrogen, phosphorous and potassium. This reduces water usage by up to 90 per cent compared to traditional soil farming. 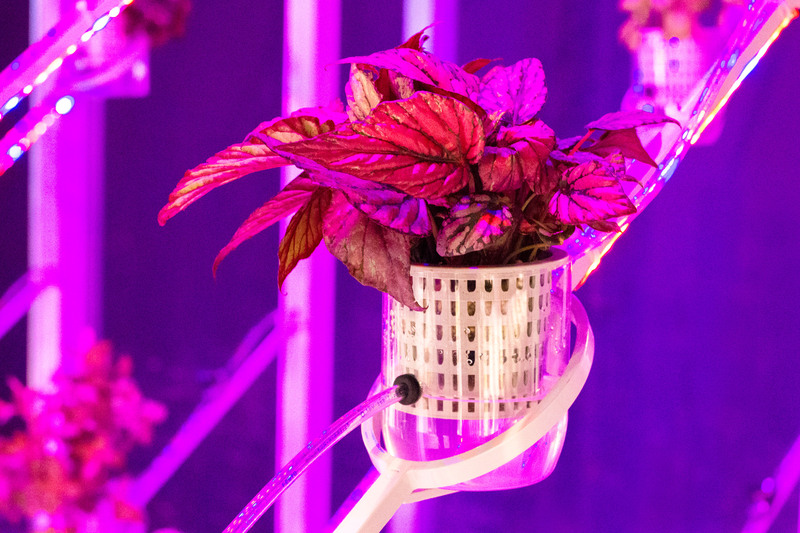 In addition to the sunlight harvested from the solar glass panels, pink and blue LED lights are used to enhance and control plant growth. 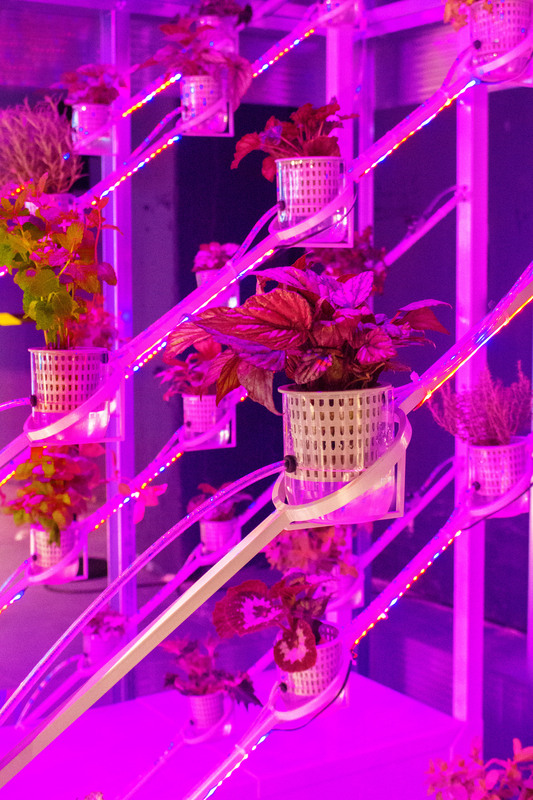 For example blue light encourages leaf growth and red light encourages plants to flower. By utilising the different coloured lights appropriately, you can increase the yield by up to four times. It is estimated that by 2050, 2.5 billion more people will live in cities. Van Aubel therefore envisions the greenhouses being mainly situated on residential or restaurant rooftops in cities to reduce food miles by cutting out the transportation needed to get the produce from the place of growth to the place of consumption. However, the greenhouses could also be installed in places without easy, or any, access to electricity, to enable people to grow food in places where this wasn’t possible before. Van Aubel also sees them being used in shared community spaces, like rooftop garden areas for example. As the system takes care of the plants, little maintenance is required. 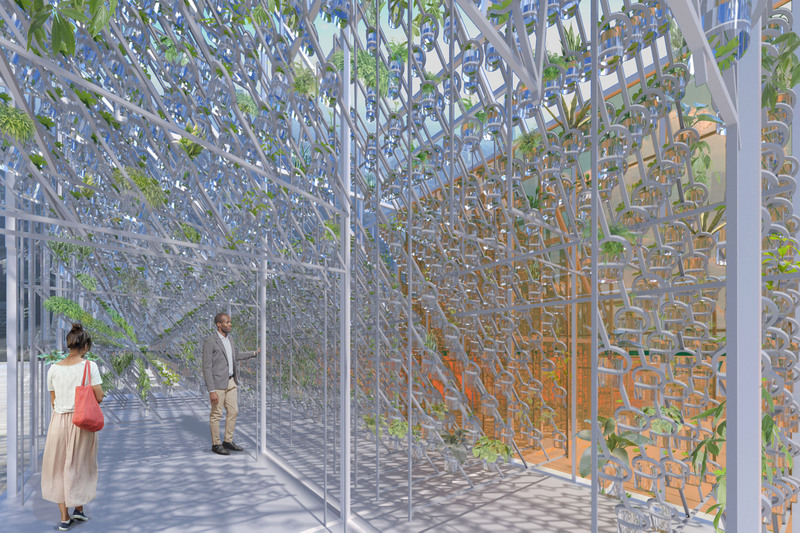 “We hope to build a Kew Gardens of the 21st century where we can celebrate modern technologies and grow the plants and foods of the future,” said the solar designer. 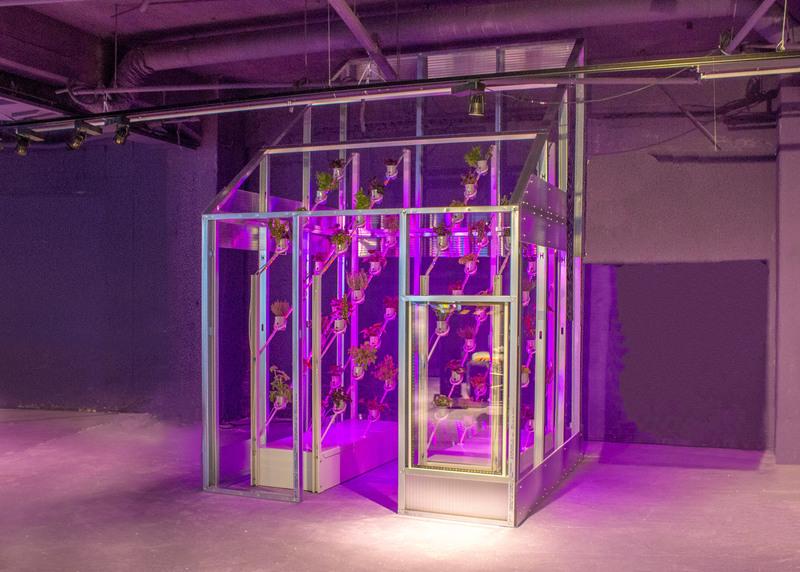 “Power Plant demonstrates that botanical tech can be embedded in the urban environment to educate people to bring the future of farming into our cities,” she added. Van Aubel’s Power Plant was displayed in Eindhoven at this year’s Dutch Design Week. Held from 20 to 28 October, the annual design event also saw Dezeen host a special edition of our Good Design for a Bad World talks, where we asked if design can harness humans’ negative effects on earth to prevent global catastrophe. 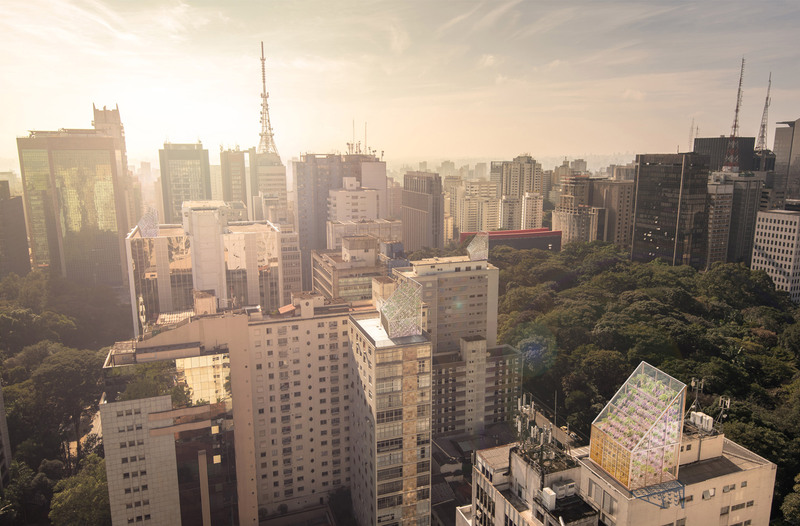 The post Marjan van Aubel’s rooftop “greenhouse of the future” aims to solve food shortages appeared first on Dezeen.